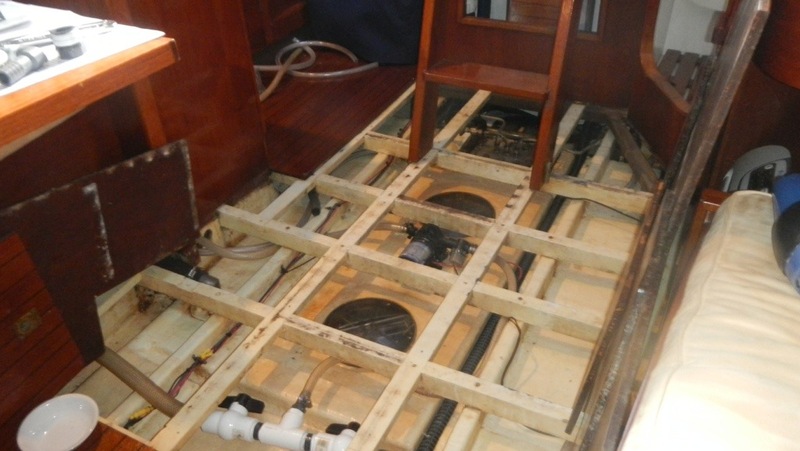 We had tried to get all the messy, tear-the-boat-apart tasks done before moving aboard. Looks like we might have to give ourselves a failing grade on that one! For the third weekend in a row we have completely dismantled our living space for projects. This weekend it was to re-run the freshwater plumbing and add a filter. The “marine” filter we had originally installed conked out a few hours before our last crossing (and after only a few hours of use). We had lost half of our fresh water before we even made it to the Bahamas. This time we have a simple one from Lowes, the universal cartridges are cheap and will hopefully be easier to find. Kai was quite the helper at removing all the floor boards. 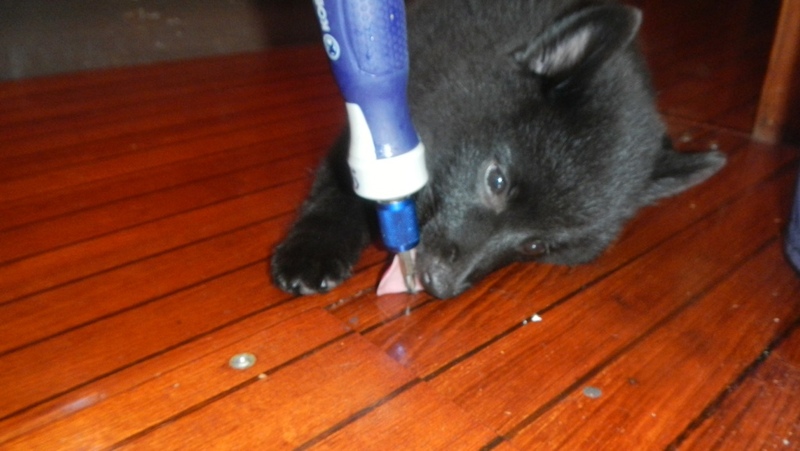 The noisy, ratcheting screwdriver proved irresistible.